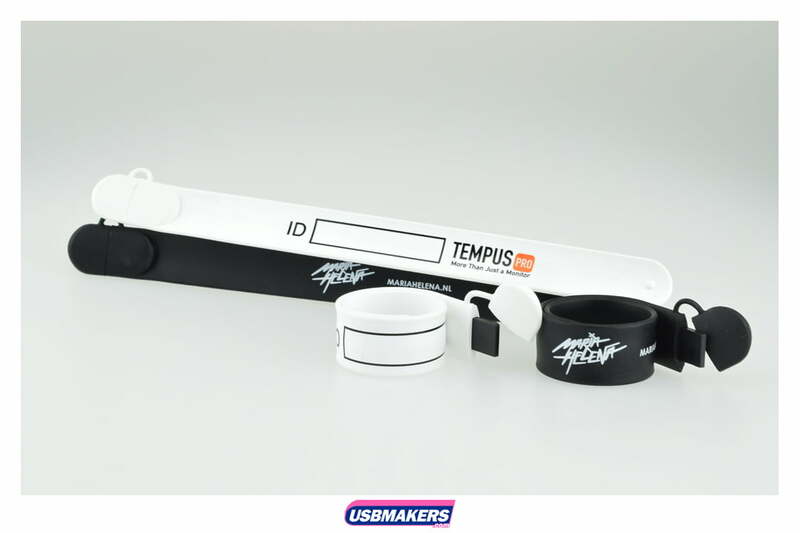 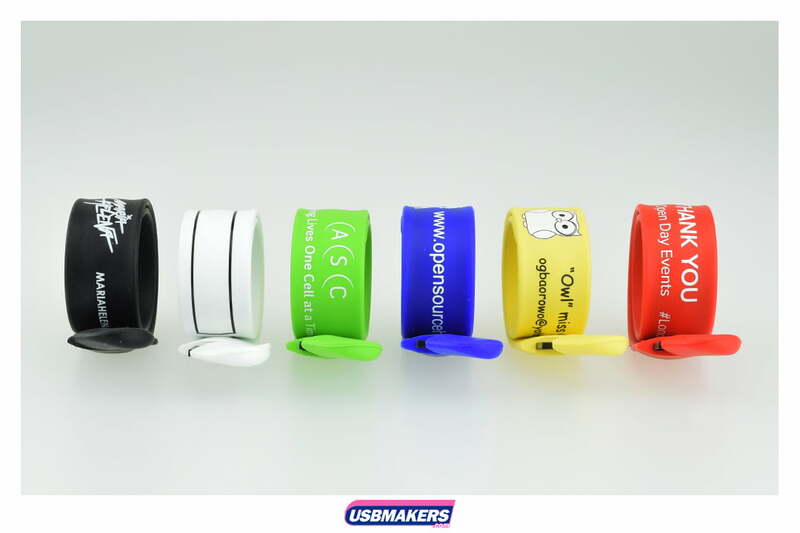 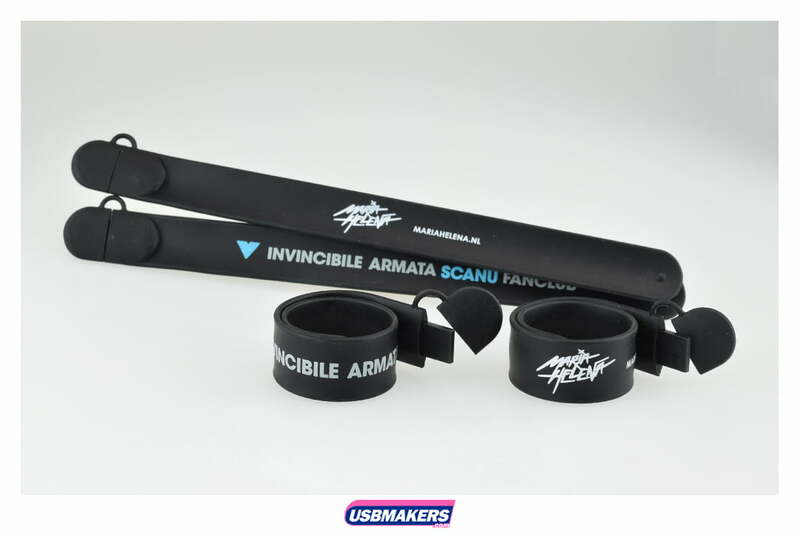 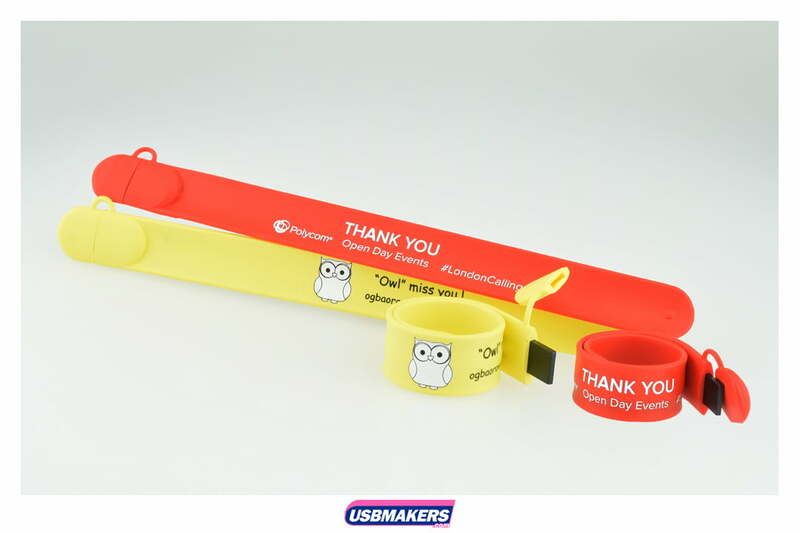 A more unique style that USB Makers has to offer is the Slap-On Wristband, coming in a range of standard colours such as, black, white, blue, green, red, pink, yellow, orange. 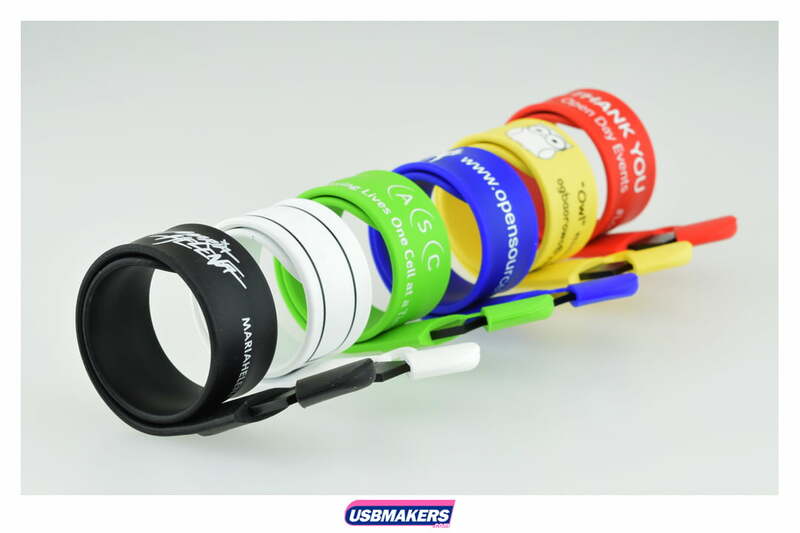 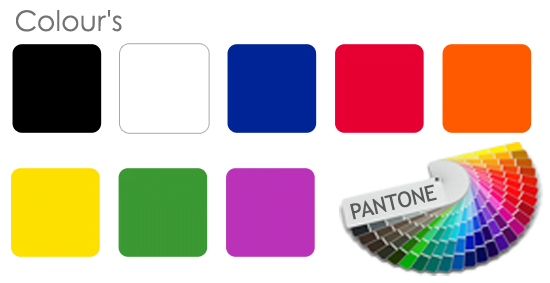 For a small charge, we can Pantone match your USB Wristband’s shell. 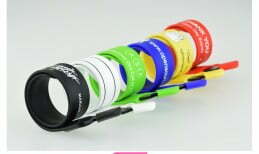 This style’s soft rubber material makes it comfortable to wear around the wrist. 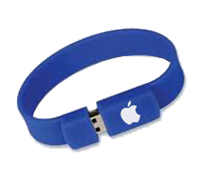 The wristband USB drive gives you a choice of capacities ranging from 128Mb right up to 64Gb. 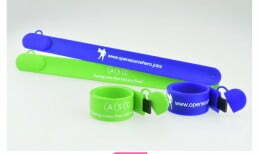 The minimum order quantity for the USB wristbands is 50 units. 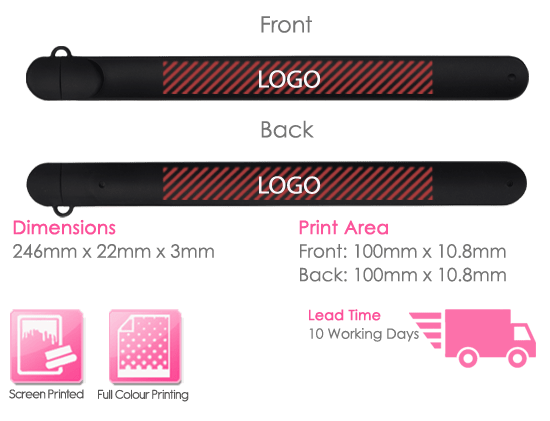 The generous printing area gives you a vast space in which your logo can be branded and is particularly popular within schools, colleges and universities.